10 Leaves 5-7” each. Leaves are in sealed bags. 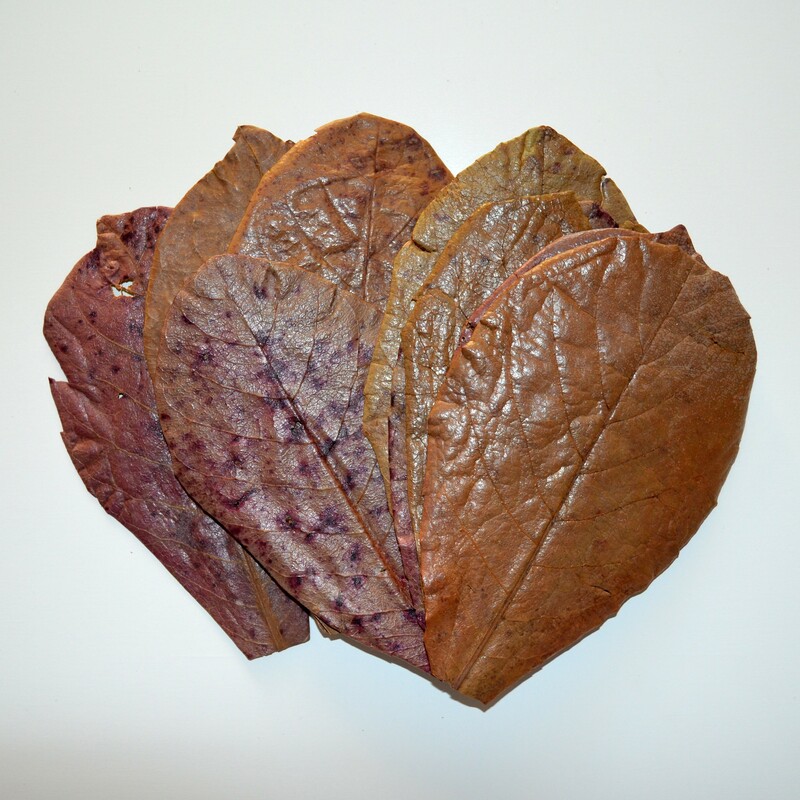 Indian Almond Leaves have been used in the hobby for many years by shrimp breeders and fish breeders alike. The Indian Almond Leaf when added to the aquarium will provide many benefits in that it leeches many beneficial substances such as tannic and humic acid. These acids help to lower the pH of your aquarium naturally. In addition, it also known that Indian Almond Leaves have both anti-fungal and anti-bacterial properties. Indian Almond Leaves will turn your water a brown color depending on how many you add to your aquarium at once. To avoid this you can presoak your leaves for a few days to release some of the tannins. If you do not wish to lose any of the beneficial tannins, but do not want brown water, simply add 1 leaves per 15 gallons of water to avoid any noticeable discoloration. Leaving Indian Almond Leaves in your shrimp tank will help to naturally lower the pH, provide anti-fungal and anti-bacterial properties, and create a great source of microorganisms for your baby shrimp to feed on! After being in your aquarium for roughly 12-24 hours microorganisms will start to colonize the leave and began to break it down. In doing so these organisms create a biofilm which is the best source of food for shrimp, especially baby shrimp. This will lead to increased survival rates for your baby shrimp. Once the leave has broken down and has nothing but a stem remaining you can remove it from your aquarium.